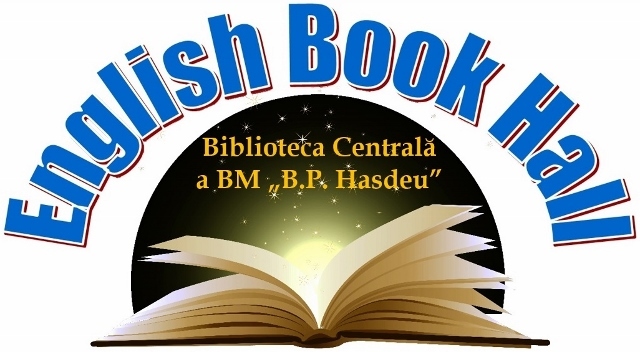 English Book Hall | BIBLIOTECA CENTRALĂ A BM "B. P. HASDEU"
Barrett, Tom. Walking the Tightrope : Balancing Family Life & Professional Life / Tom Barrett. – United States : S. l. : Business/Life Management inc., 1994 – 192 p.
Walking the Tightrope is a book for those who respond to the call. People who believe they can do more for their country, their company, themselves. People who want to be more. . . influential, powerful, accepted. People who want to give more time, more thought, more energy than those who have gone before them . . . and yet not fail at life’s most significant responsibilities. Morton, Frederic. The Rothschilds : a family portrait / Frederic Morton. – United States : New York : Atheneum, 1962 – 305 p.
The Rothschilds’ story begins at the end of the eighteenth century with Mayer Amschel Rothschild, a Frankfurt money changer. Fro, a cramped house in Frankfurt’s Jew Street he built a financial empire that his five sons carried to five European capitals and finally to world-widepower. Frederic Morton dramatizes both the family solidarity and the bold flair that effected the dynasty’s business triumphs. But always his emphasis is on the human aspect. Falco, Ed. The Family Corleone / Ed. Falco. – United States : New York : Grand Central Publishing, 2012 – 531 p.
Edward Falco is an American author. He deftly brings back to life one of the most iconic figures in American popular culture. His book is a work of fiction. Names, characters, places, and incidents are the product of the author’s imagination or are used fictitiously. Any resemblance to actual events, locales, or persons, living or dead, is coincidental. It’s a book designed for all people that love to read novels. Collins, Don. An introduction to family social work / Don Collins. – United States : Belmont, Brooks/Cole, 2010 – 428 p.
This book is designed for students who will work with families, but not necessarily continue with advanced family therapy training, the text features engaging case studies, end-of-chapter exercises, illustrations, and graphics to help students to consolidate and take pride in its knowledge and experience in working with families. Many current family textbooks emphasize family therapy, a specialized activity that is usually practiced at the gradyate social work level. Moreover, most family theraphy books are not, for the most part, written by social workers. This is despite the fact that the family has been a focus of social work practice since the beginnings of the profession. Cannett, Lewis. The family book of verse / Lewis Cannett. – United States : New York : Harper & Row, Publishers, 1961, 351 p.
This is a collection of poems to be read – not studied – and, preferably, to be read aloud, and loved. Its purpose is to communicate delight; and to remind readers who may have forgotten that poetry has been and still can be an inexhaustible source of pleasure, liberating the spirit, lifting the heart. In fact, every provision has been made to simplify the reader’s use of this book and enhance his enjoyment of it. Ruge, Eugen. In times of fading light : The story of a family / Eugen Ruge. – United States : Minneapolis : Faber and Faber, 2013, 308 p.
Utterly absorbing, funny and humane. A romp through a twisted century in the heart of Europe. A sweeping story of one family over fifty years and four generations in East Germany. With wisdom, humour and great empathy, and drawing on his own family history, Eugen Ruge majestically traces the stories of both this particular family and the GDR, while exploring the tragic intertwining of politics, love and family under the East German regime. George, David. The family book of best loved poems / David George. – United States : New York : Doubleday & Co., 1952, 485 p.
Here in this book are the poems you remember and want your children to know and love, and scores of others you may never yet have had the pleasure of reading. You will enjoy introducing these verses to your children, reading the poems aloud or sharing them with the older ones who are seeking new adventures in reading. In addition you will find this volume a never-ending source of pleasure for yourself. How often do you think of a line from a poem you know long ago and wish you could find the whole poem to recapture the feeling it gave you, to match your present mood? You will find this book a treasure-chest of such elusive memories. Stephen Richards Covey (October 24, 1932 – July 16, 2012) was an American educator, author, businessman, and keynote speaker. He is also an internationally respected leadership authority, family expert, teacher, organizational consultant, founder of the former Covey Leadership Center, and cochairman of Franklin Covey Co. His most popular book was The 7 Habits of Highly Effective People. His other books include First Things First, Principle-Centered Leadership, The 7 Habits of Highly Effective Families, The 8th Habit, and The Leader In Me — How Schools and Parents Around the World Are Inspiring Greatness, One Child at a Time. The 7 Habits of Highly Effective People, Convey’s best-known book, has sold more than 25 million copies worldwide since its firts publication in 1989. Stephen R. Covey presents a holistic, integrated, principle-centered approach for solving personal and professional problems. With penetrating insights and pointed anecdotes, Covey reveals a step-by-step pathway for living with fairness, integrity, service, and human dignity – principles that give us the security to adapt to change and the wisdom and power to take advantage of the opportunities that change creates. The real beauty of the 7 Habits is that improvement in one habit increases our ability to improve the rest. If you are interested in this book then you surely must plan a visit to our library.